My office is located at the corner of Connecticut and Rhode Island avenues in downtown Washington DC, across Connecticut from 18th and M Street. The building is very close to both the Farragut North and Dupont Circle stations on Metro’s Red Line. There are several pay parking lots nearby and some metered and residential street parking within a few blocks. 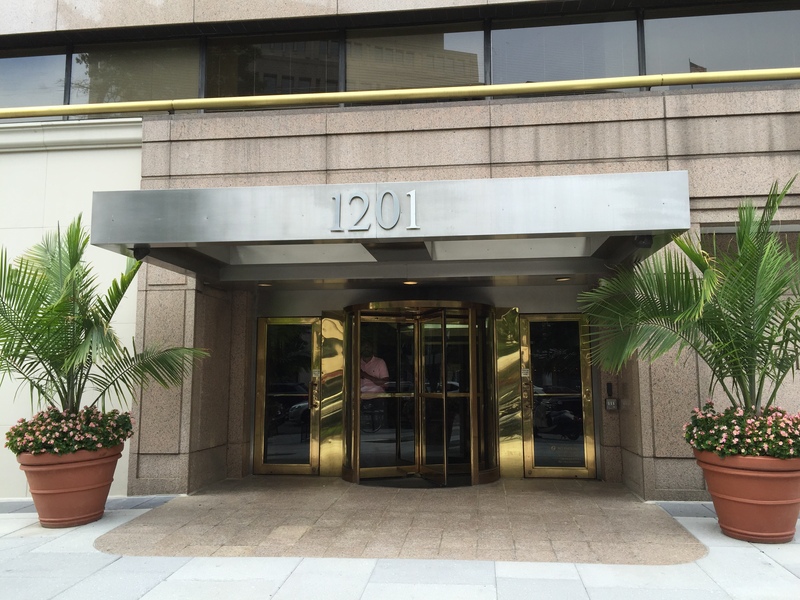 The entrance to 1201 Connecticut is on Rhode Island Avenue. The street level retail is Brooks Brothers.